If we look at the current state of the Earth the list goes something like this…remember this is only the tip of the ice berg of what we’ve caused. Thus Mother Natures Warriors purpose in showing positive actions ones are taking to set the example for our generation and future generations so they can enjoy Mother Natures greatest gifts. Here are a few of the issues that our world faces today, and links to organizations that adress them. Green House Gases above threshold that can potentially cause dangerous climate change; it is not next year or the next decade– it is now. Air pollution can have an adverse effect on humans and the ecosystem according to the 2014 World Health Organization’s report, and in 2012 air pollution caused the deaths of around 7 million people worldwide. Fresh water supplies in the world are running out. Already one person in five has no access to safe drinking water. As farmers in Texan High Plains pump ground water faster than rain replenishes it, the water tables are dropping. North Americas largest aquifer, the Ogallala, is being depleted at a rate of 12 billion cubic meters a year. Total depletion to date amounts to some 325 bcm, a volume equal to the annual flow of 18 Colorado Rivers. The Ocean: According to International Program on the State of the Ocean, consequences of current rates of negative change already matching those predicted under the “worst case scenario”. 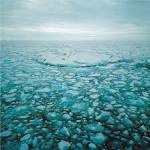 This includes the rate of decrease in Arctic Sea Ice, the accelerated melting of both the Greenland ice sheet and Antarctic ice sheets, seal level rise and release of trapped methane from seabed. Other individual stressors include over fishing, physical disturbance, nutrient runoff, introduction of non-native species, increased temperature and acidification increasing the susceptibility of corals to bleaching, impacting the reproduction of marine invertebrates and increased bio-availability of pollutants through absorption onto the surface of micro-plastic particles. Wetlands: Half of the world wetlands have disappeared since 1900. Wetlands are among the most productive habitats on earth providing shelter and nursery for commercially and recreationally important animals like fish and shellfish as well as wintering grounds for migrating birds. A major threat is the draining of wetlands for commercial development, including tourism facilities, or agricultural land. Hundreds of thousands of hectares of wetlands have been drained for agriculture. Pollution in wetlands is growing, affecting drinking water sources and biological diversity. Drainage and run-off from fertilized crops and pesticides used in industry introduce nitrogen and phosphorous nutrients and other toxins like mercury to to water sources. These chemicals can affect the health and reproduction of species, posing a serious threat to biological diversity. Deforestation and Rain Forests: According to the Global Forest Resources Assessment conversion of tropical forests to agricultural land continues at a high rate. 13 million hectares of forest were converted annually up to 2010. Rain forests. often described as the Earth’s Lungs covering only 2% of the earth’s surface take in vast quantities of carbon dioxide and through the process of photosynthesis converts it into clean breathable air. In fact tropical rain forests are the single greatest terrestrial source of air that we breathe. The world’s oldest continuous ecosystems with over a 1000 species per square kilometer. Tragically the tropical rain forests are being destroyed at an alarming rate. According to Rainforest Action Network more than an acre and a half is lost every second of every day.